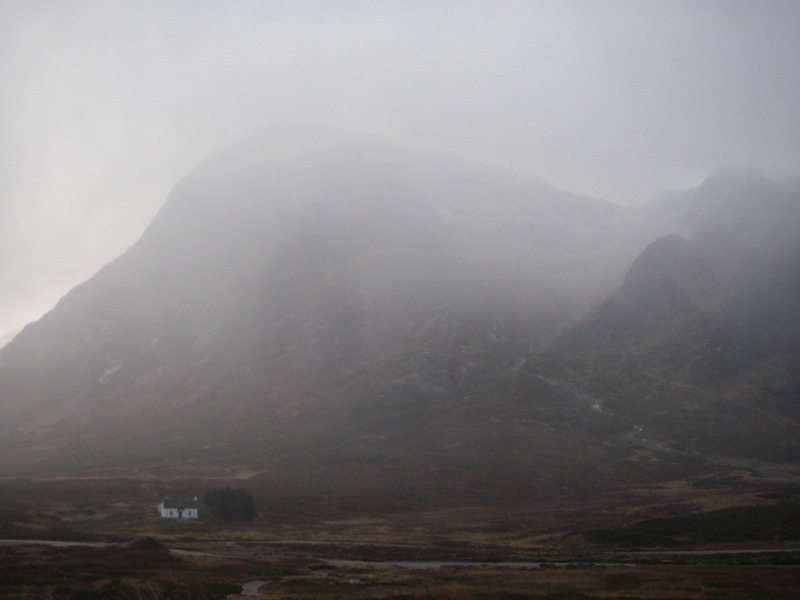 There were snow showers at higher levels in Glen Coe today. During the showers it did feel quite wintry. However, the amount of new snow is quite limited. Looking drier over the next couple of days. 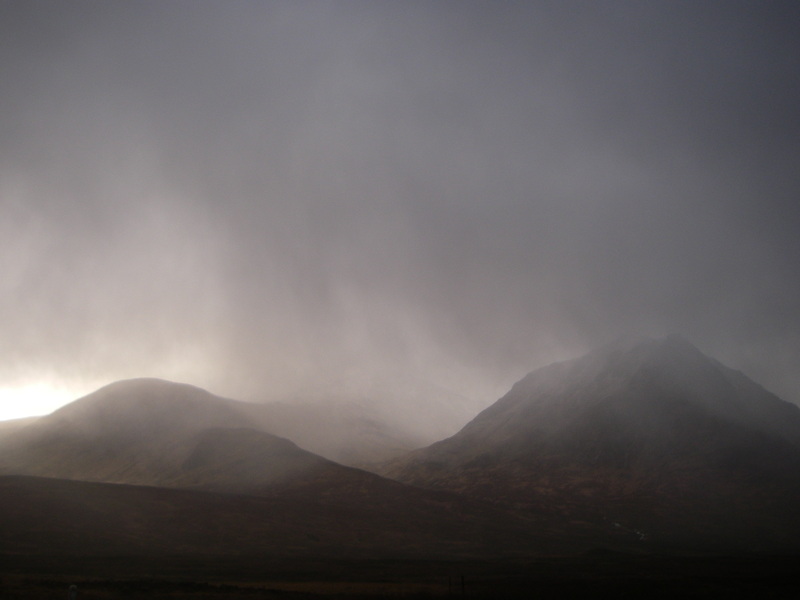 Showers over the Buachaille this morning. 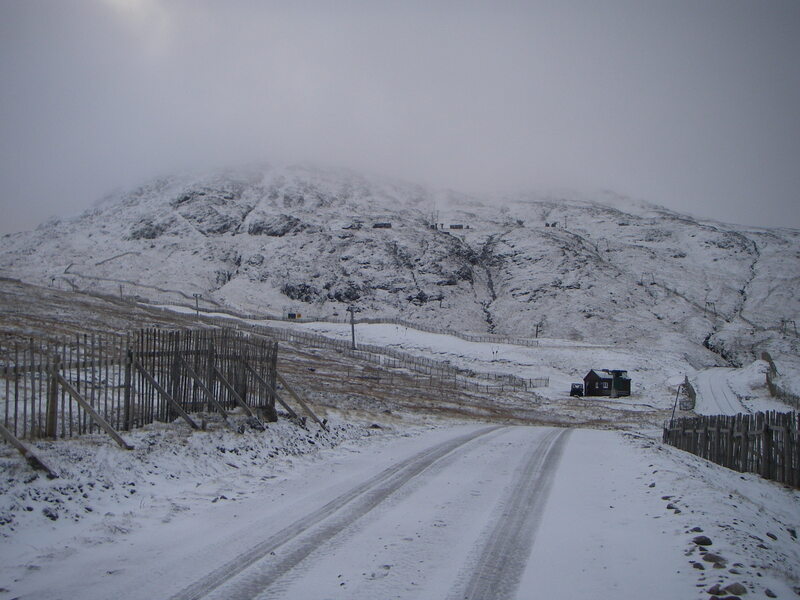 Meall a Bhuiridh disappearing into the cloud/snow. 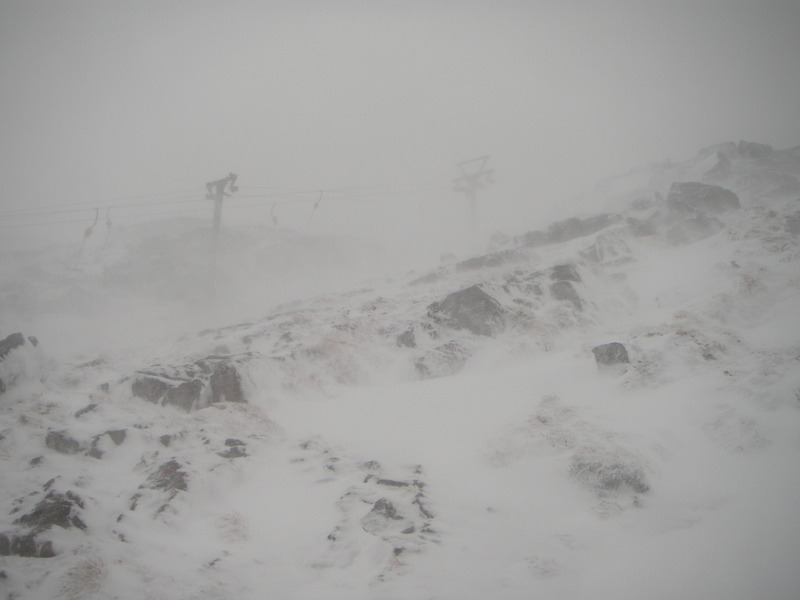 There were some heavy snow showers during which it felt quite wintry. However, between showers it is clear that there is only a thin layer of fresh snow.